Home » Info » Corded or Cordless Vacuum! Which one to buy? Vacuum cleaners have been in the market for long and they have evolved only to make cleaning easier. There are a lot of types available in the market but since this is the age of the wireless, vacuum cleaners also comes with two broad distinctions; the “corded” and the “cordless”. But both have their own share of advantages and disadvantages and thus it is really up to the user to decide where to compromise. The corded and the cordless vacuum cleaners can be further classified into a few categories like: handheld vacuum cleaners, upright vacuum cleaners, canister vacuums etc. This is done only on the basis of one difference, that is: having a power cord. But the truth is, when it comes to the difference between cordless and corded vacuum cleaners, there are a lot of things that a user should know if he or she has to select between the two types. The points mentioned below might help clarify a few things for the user and thus making this decision easier. The more power a vacuum cleaner has, the better it cleans. So, it goes without saying that a user would like to get a machine with a good amount of suction power. 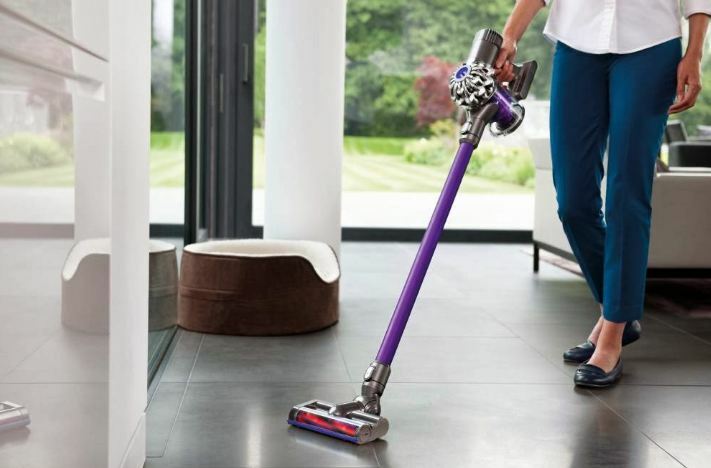 Though, as suction power is dependent on the motor used, the higher priced the vacuum cleaner is, the more the power it has, in certain cases. Also, when it comes to power, a corded vacuum cleaner just might have a bit of advantage over the cordless one since it runs with uninterrupted supply of electricity. The cordless vacuums on the other hand, have batteries as power sources. So, they give limited amount of cleaning time per recharge. When it comes to handling, the compact and cordless vacuum cleaners are definitely a plus. These vacuums are so easy to maneuver that they can virtually reach any place that needs cleaning. Be it the inside of a car or behind the table or under furniture, one can easily reach nooks and crannies which is often not possible for a corded vacuum cleaner. A corded vacuum cleaner has to be attached to power outlets and then there is also a fixed radius of use. This makes cordless cleaners more preferable over corded varieties. As mentioned above, the more suction power a vacuum cleaner has, the more efficient it is. If one compares a corded variety and a cordless variety of vacuum cleaner in the same price range, it is often found that the corded variety uses a more powerful motor than the cordless one. The reason is, since a cordless cleaner runs on batteries, it has limited amount of power. Thus it uses energy efficient motors which may not be as powerful as its corded variant. This in not to say that efficient cleaning cannot be obtained from a good cordless vacuum cleaner, in fact there are lots of affordable and efficient cordless vacuums that receives constant appreciation from their users. Well, this is one of the most important aspects a vacuum user should take into account. Both the cordless and corded variations of vacuum cleaners need maintenance. Other that the fact that one has a power cord attached and the other one has batteries, most of the other things is the same. Maintenance should be carried out on regular basis as this would significantly improve the life span of the devices. Since the corded vacuum has a power cord, one should check it for signs of wear, tear or any damages and fix the problems immediately as this may result in lethal outcomes if not taken care. For the cordless variants, one must keep an eye on the functionality of the device since any decrease in functionality might be related to a faulty battery. Batteries do lose power even if they are kept fully charged so recharging them before usage is a good idea. Since the cordless vacuum cleaners are a bit more complex than the corded ones, servicing them are better done by professionals. This is particularly useful since a lot of people get confused by what is covered under warranty. Before buying any products, asking the right question to the vendors or sales person matters a lot. Generally in case of corded vacuum cleaners, the machine and accessories comes under warranty. In case of cordless vacuums, the batteries may also come under warranty. Most cordless vacuum cleaners come with an extended warranty and have a different warranty clause for battery. Since there are a lot of types of vacuum cleaners available, they have a varied price range. With two broad divisions of corded and cordless vacuum cleaners, the cordless vacuum cleaners owe their slightly higher pricing to the convenience of being extremely portable and compact. Cordless vacuum cleaners are very easy to use, compact and easily maneuverable. Being near a power outlet is not at all necessary. They are powerful enough to carry out cleaning duties efficiently. One can easily put to use and stow away one of these without having to take care of lengthy feet of power cord, every use. 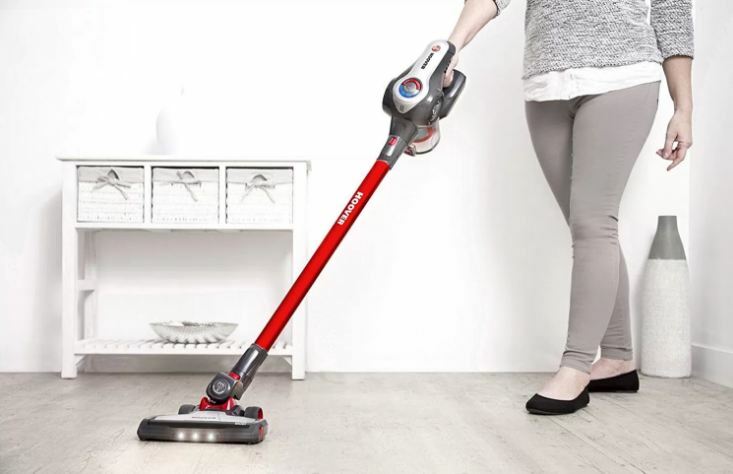 They run on batteries so, suction power may decrease with time but now-a-days most cordless vacuums come with technologies which help in providing stable function. They give a limited amount of cleaning time due to limited power supply and needs to be recharged before usage. Difference between a corded and a cordless variant is not much when it comes to pricing, but they do cost a little bit more than corded vacuums. Deciding which one to buy can be tricky, but if one can prioritize their needs the decision just boils down to a few simple points. If one is living in a small apartment where storage space is a luxury and cleaning area is small, a cordless vacuum cleaner makes much more sense than a corded one. On the other hand, if one needs to perform cleaning duties for a longer period of time, it is better to go for a corded one since cleaning time significantly increases with the floor area of one’s apartment and cordless variants simply won’t be feasible in this case. Though keeping a cordless handheld vacuum in the inventory is a brilliant idea since it can come handy in a lot of situations. From the points discussed above one can easily decide which vacuum cleaner to buy.